The United States Quarter Eagle was one of the longest-running American gold coins, having been struck from 1796 through 1929. For much of its existence, the denomination was one of the most likely to be used by everyday citizens. Whereas the larger denominations were often used by banks and businesses for reserves or large institutional transfers, the Quarter Eagle was seen more frequently in everyday transactions. 1796-1807 Draped Bust Quarter Eagle: This is one of the rarest series in all of American numismatics, with every date being quite scarce. The 1807 is the most common, but it is still a difficult item to find (and typically worth $10,000+ unless heavily worn or damaged). The most valuable coin from this series is a spectacular MS 65 1796 No Stars Quarter Eagle, which has traded hands for more than $1,000,000 at auction. 1808-1834 Capped Bust Quarter Eagle: The 1808 looks slightly different than the later issues and is typically a one-year type. While these are less difficult to find than the 1796-1807 issues, mintages are still tiny and virtually every date is a pricey item. One should expect to spend five figures on a respectable example from this type. 1834-1839 Classic Head Quarter Eagle: By the mid-late 1830s, Quarter Eagle mintages began to increase and, therefore, this design type is not as rare. Issues like the 1834 and 1836 Quarter Eagle can be located in decent VF and XF grades for $500-$1000 each. As such they are among the most affordable of all early United States gold coins. 1840-1907 Liberty Quarter Eagle: Remarkably, the Quarter Eagle went essentially unchanged from 1840 all the way through 1907 without any design adjustment whatsoever. It is by far the most common version of the denomination, with the 1900-1907 dates being especially plentiful. Uncirculated specimens are very common and even superb MS 67 pieces are always available. 1908-1929 Indian Quarter Eagle: This version features the famous incused (or recessed) design created by Bela Lyon Pratt. 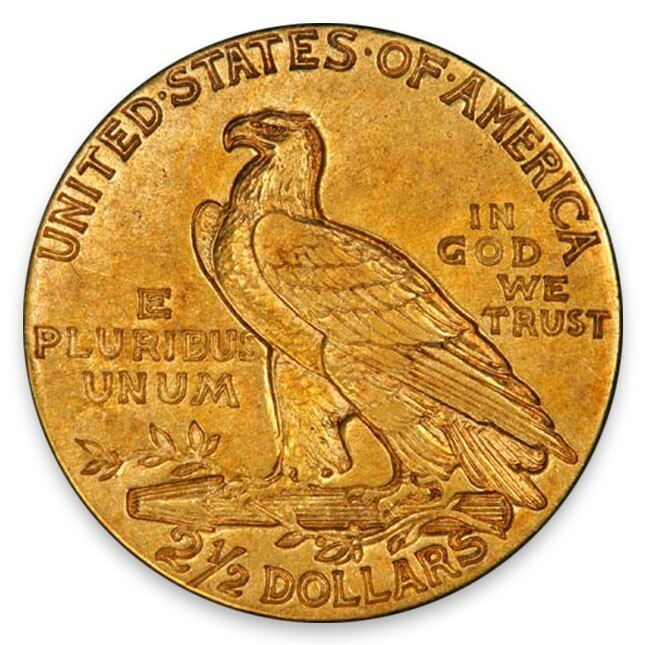 By the early 20th century, Americans were more likely to use $1, $2 or $5 for transactions of this size so the Quarter Eagle did not circulate as much. 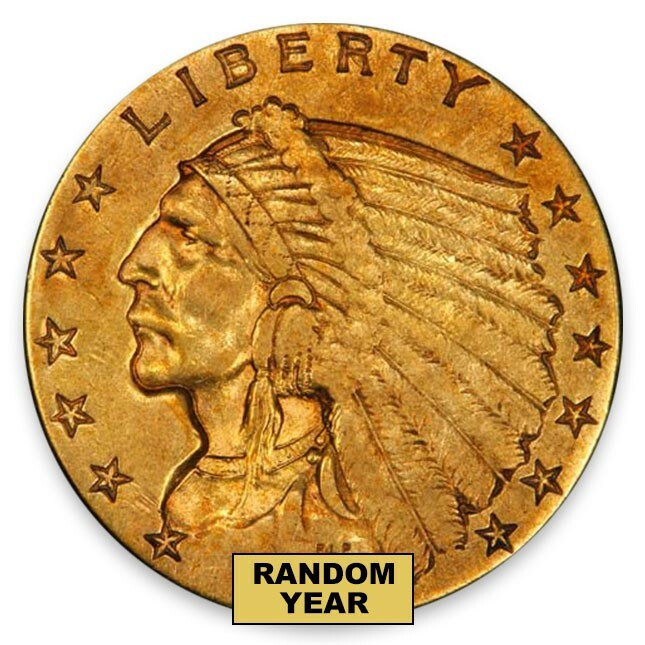 Therefore most $2.50 Indians are just lightly worn or Uncirculated. Other than the 1911-D, all dates in this series are readily available in Mint State grades for $500 or less.